A couple of Alexa-powered smart gadgets were briefly listed on Amazon just days ahead of the company’s upcoming event where the retail giant is rumored to launch a slew of new Alexa devices, including a smart microwave oven. Believed to have been first spotted by Pocket-Lint, the two leaked gadgets include the Echo Sub wireless subwoofer and a Smart Plug. Both were reportedly listed on Amazon’s UK site, but the listings have since been pulled. 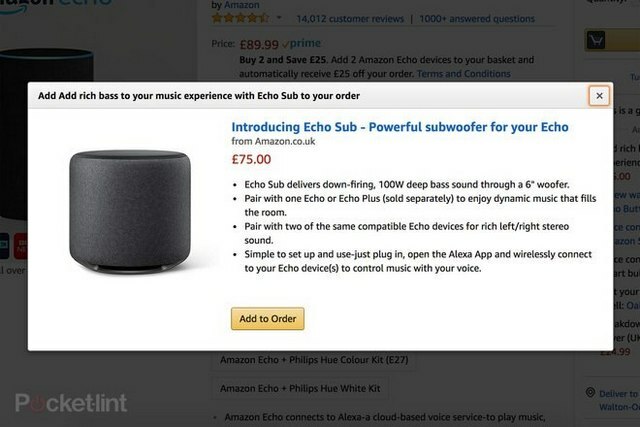 As can be seen from screenshots of the listings, the Echo Sub adds 100W of bass to an Echo or Echo Plus setup through a 6-inch woofer. Users will even be able to pair it with multiple devices for a stereo effect. While the price listed was £75 (around Rs. 7,000), it’s difficult to say whether that is indeed the real price or just a placeholder. 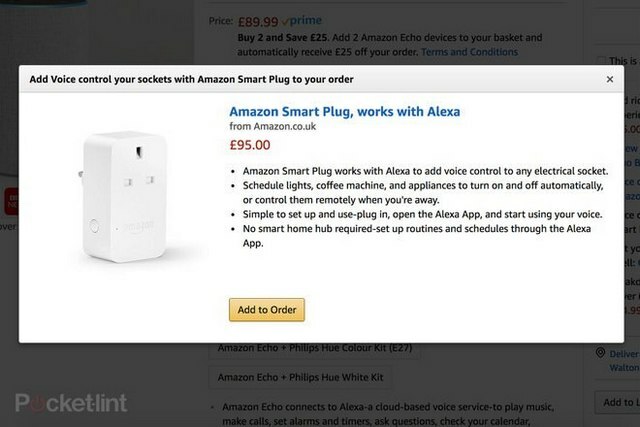 The other device that was also listed briefly on Amazon UK before being pulled is the unimaginatively-named Amazon Smart Plug. According to the listing, it will work with Alexa to add voice control to any electrical socket, eliminating the need for a smart hub. With the Smart Plug, users will be able to turn off lights and power-up gadgets. The device was listed with a £95 (around Rs. 9,000) price-tag. Amazon listed October 11 as the release date for both devices, but again, it isn’t immediately clear whether that ETA is for real or a mere placeholder. However, things are likely to get cleared up as Amazon gets set to launch the devices later this month.